He would one day bring. Putting our King Jesus on daily trial. Twelve legions of angels would obey. For in Him is all power. Yielded up the Ghost that we may be free. A robe and crown in Heaven to wear. By the humility of this great Man. It's in the heart, Jesus takes up His abode. 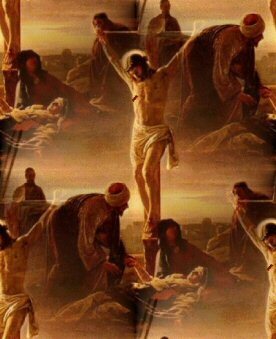 For our blessed Saviour's healing touch. As His Blood covered and made us whole. Music: "There Is A Fountain ~ William Cowper"